As of 29 May, the Embassy has found, retrieved and released 1488 old surrendered passports to their holders in the Riyadh area, and sent 717 passports to the Consulate in Jeddah for release to their holders. The old passports are useful for those who do not have their iqama or a copy, as the entry information are written on the page opposite the visa used when entering the Kingdom. The Directorate General for Passports is requiring the iqama, or the iqama copy, or the iqama number, or the old passport to process the final exit or the transfer of employment. Those with no copy of their iqama or old passport used during entry are advised to get a Jawazat printout from the General Directorate for Passports, which may be obtained after submitting themselves to fingerprinting. Immediately after the guidelines were announced, the Philippine Embassy started to process and release travel documents. 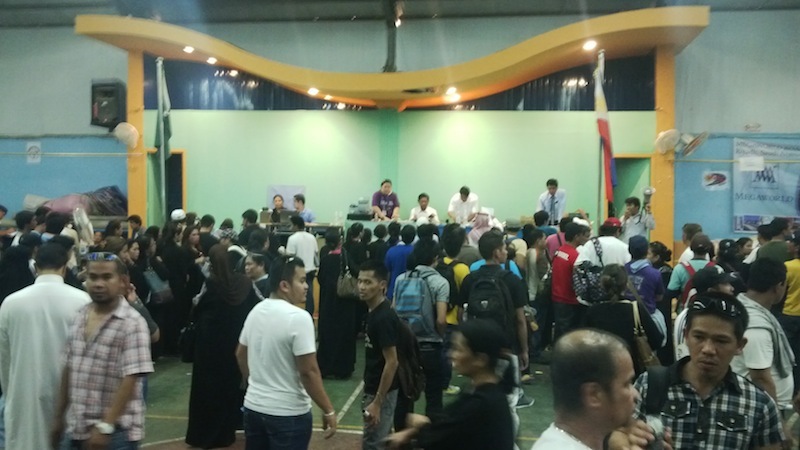 Since 11 May, the Philippine Embassy in Riyadh has processed and issued 4011 travel documents. 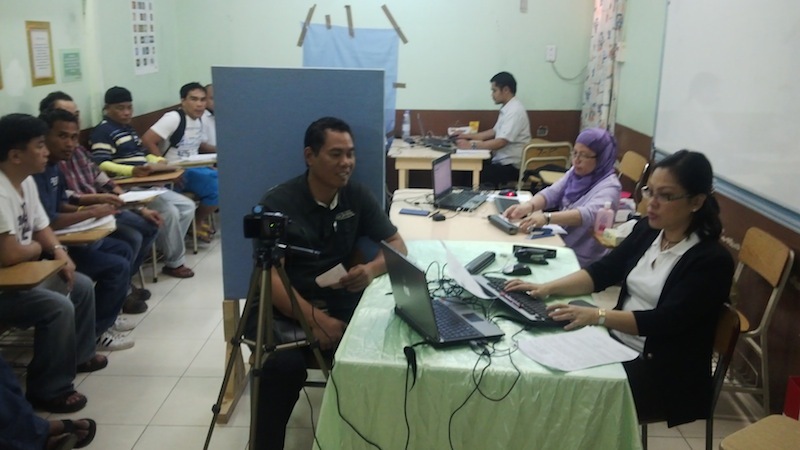 The Philippine Consulate General in Jeddah has processed 2420 travel documents. 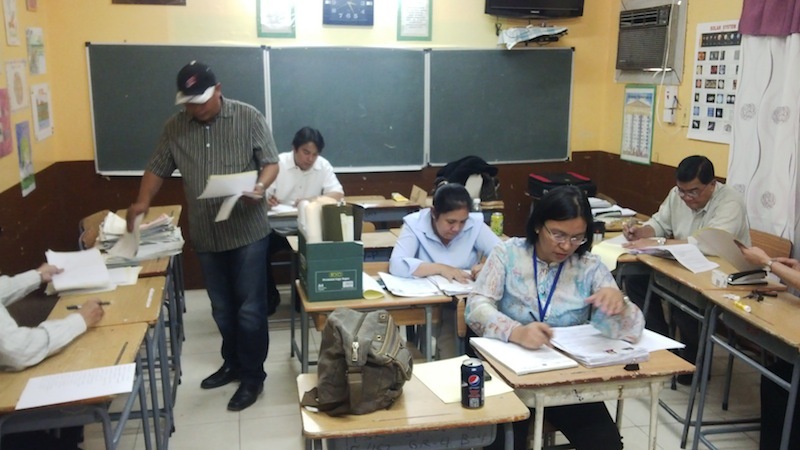 Embassy team at the International Philippine School in Riyadh processing travel documents. The Embassy team at the Elite International School processing travel documents. In addition to the iqama or entry information, the travel documents are necessary for all those who are applying for final exit in case they do not have a valid passport. The travel documents are free of charge, and are valid for three months for one-way travel to the Philippines. They are issued after the person presents a copy of his old passport or other proof of citizenship, and an application for travel document. For Filipinos who will be transferring to another employer and need a new valid passport, the Philippine Embassy in Riyadh has been encoding renewal passports for those who have their expired passport. For those who do not have their passport, Filipinos may apply for a replacement passport. From 18 to 29 May 2013, the Embassy in Riyadh has encoded 1311 renewal passports and 1566 replacements for lost passports or a total of 2877 passports. The Embassy has done this with additional passport data capturing machines and personnel at two venues, the Elite International School and the International Philippine School in Riyadh. The Philippine Consulate in Jeddah has also encoded over 1500 passports for renewal, and encoded over 2000 replacements for lost passports. The requirements for lost passport have been streamlined, and the Embassy during the corrective period no longer requires a police report or Jawazat printout from the applicants for lost passport replacement who are doing so to correct their status. 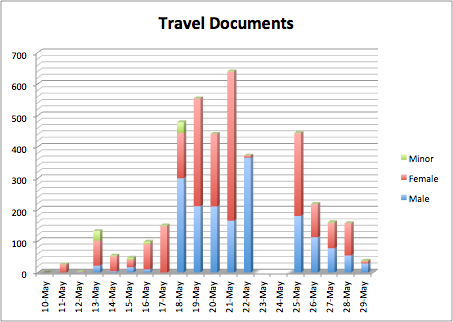 More importantly, the usual turn around time for passports has been drastically reduced. During this corrective period, applicants will be able to claim their passport around 15 to 20 days from their date of encoding. The Embassy emphasized that all those who are transferring to a new employer should start the process immediately. They may do so even before they apply for a new passport and receive it. 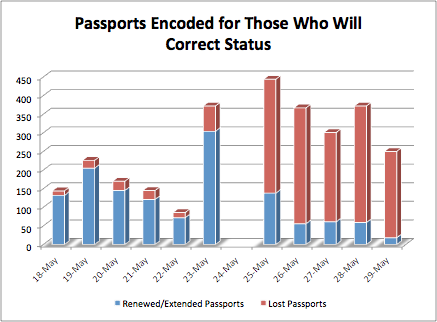 Passport encoding for replacement of lost passport at the International Philippine School in Riyadh increased to three encoders and alternating for men and women. The Embassy conducted various services at the Elite International School until 28 May. The Philippine Embassy in Riyadh has expressed appreciation to both the Elite International School and the International Philippine School in Riyadh for allowing the use of its premises. The Embassy has ended services at the Elite International School on 28 May, while the services at the International Philippine School in Riyadh will continue until 4 June 2013. “I thank the management and also faculty and staff of the Elite International School and the International Philippine School in Riyadh for their generous help in providing their premises as well as actively helping the Embassy team. With their help we were able to reach out to a large number of Filipinos in Riyadh, and extend services to thousands” said the Philippine Ambassador Ezzedin Tago. “I also thank the Computer Society of Filipinos (COMSOFIL) led by Domingo Herras who early on volunteered to help the Embassy team,” added Ambassador Tago. “For those in the Eastern region, we sent a team on 23-24 May to Al-Khobar, and another team will again be at the Jazeera International School in Al-Khobar on 30-31 May to extend services exclusively for those who need to correct their status”, Ambassador Tago said. Ambassador Tago revealed that the Saudi Ministry of Labor has requested the Philippine Embassy and other diplomatic missions to detail Philippine labor officials at the Saudi Labor Office in various branches across the Kingdom to help guide Filipinos on the process for transfer of employment and other corrective measures during the grace period ending on 3 July 2013. “In Riyadh, Welfare Officer Leonardo Rodrigo started today 29 May his first day of detail at the Saudi Labor Office in Riyadh. 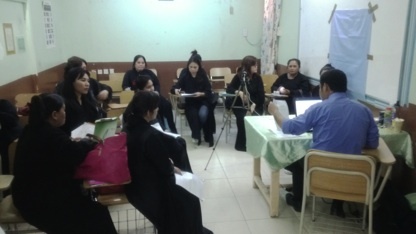 This will also be also done in Dammam, Jeddah, and other cities, and will help our nationals clarify rules for transfer of employment as well as correct their status in various ways with the Ministry of Labor,” stated Labor Attaché Adam Musa who had joined other labor officials from other missions in a meeting called by the Ministry of Labor on 28 May at the Ministry’s headquarters in Riyadh. In the meantime, the Embassy and the Consulate reiterated their advisory to all Filipinos not to deal with any fixers or middlemen who claim that they could facilitate the issuance of travel documents or even final exit in exchange for fees. The Embassy has received reports that Filipinos have been victimized by fixers claiming that they are Embassy and Consulate officials or personnel, promising facilitation of various procedures, in exchange for various amounts of money. There are even female fixers at the Jawazat, as reported to the Embassy by Filipino nationals.